Annija Svemberga-Streikisa specializes in real estate law and litigation. Additionally, she provides legal aid in areas of commercial law, environmental law, and transport. Annija works on structuring real estate transactions, drawing up contracts for acquisition of property, zoning and construction, as well as represents clients before courts in claims for performance of contracts, collection of damage, property claims, matters concerning construction process and other judicial proceedings. 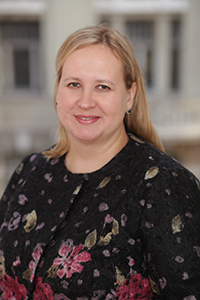 Before establishing AmberLaw, Annija Svemberga-Streikisa practiced at one of the key Baltic law firms for more than five years, as well as a bank, and constantly improves her expertise in academic and pedagogical activities. Annija takes pride in having had the opportunity to provide legal assistance to wide range of international clients such as Benetton, Coca Cola, Lucebit, Inchcape, Jeld-Wen, Saint-Gobain and others, as well as has headed major real estate transactions, including acquisition, development, and day-to-day assistance to hotels “Metropole” and “Lielupe”, and several shopping centres, production facilities and other real estate. As part of the litigation practice, Annija Svemberga-Streikisa has represented clients in disputes relating to acquisition, construction, division of real estate and other disputes, including controversies with obtaining a construction permit and various permissions for wind parks, as well as in matters concerning performance of various contracts and collection of damages.